Happy New Year's Eve to everyone Europe and west. Happy New Year to those of you ringing in 2019 already! As you enter 2019, I want you to be SUPER aware of two words that you probably say mindlessly hundreds of times a week...I AM. 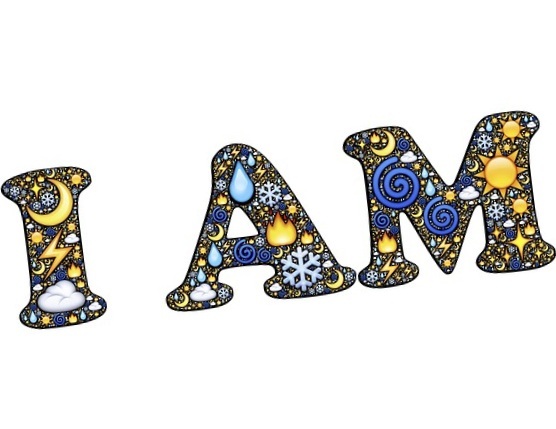 Other than your name, there are no other words in the English language (or any other) as powerful as I AM. As the pitcher and catcher are "the battery" on a baseball field, I AM is the battery of affirmations. The AM is actually an equals sign. Even though we say it often, this phrase has an untold power on our consciousness. I AM is really I =.